Kate Toon: Oh, and we’re live already. We weren’t quite ready. Hello, everybody. 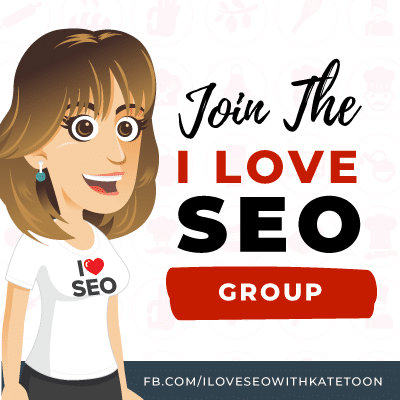 It’s Kate Toon, here and as part of SEO Love In week, I am talking to some of my favorite students from the course. Obviously, I tell all of them that they are my favorites, but they are actually my favorites. And today we have Caitlin Peake. Hello, Caitlin, how are you? Caitlin Wright: Hi, well, thank you, how are you? Kate Toon: I’m good, I’m good. Do you want to introduce yourself and let everybody know who you are and what you do? Caitlin Wright: Yeah, I’m Caitlin, right, I am a copywriter. 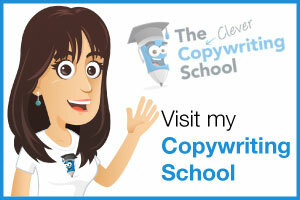 I call myself a website copywriter and freelance journalist. So my background is journalism and I’ve been working as a journalist for about 15 years. In the last few years I’ve done more and more freelance work and in the last year and a half that’s all I do. 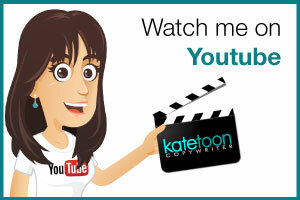 I just work for myself, so I sort of started off working with a few small little clients and growing from there. So I’ve been doing a bit of communications consultancy, I’ve been writing a lot of articles and blogs and a bit of medical journalism and website copywriting, rewriting websites, and that kind of thing. Kate Toon: Awesome. So very similar to what I did back in the day and kind of still do to a degree. 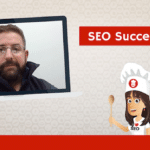 So, obviously, you are in the most recent round of the course, and before you started the course, what was your understanding of SEO? Where were you getting your information, what was your level of understanding, I guess is the question. Caitlin Wright: I felt like I had a reasonable understanding. 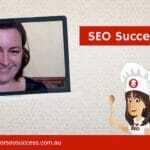 I worked in a newsroom for many years at Yahoo7, so SEO was pretty important with what we did. When I wrote articles I would have to think about keywords and I actually even taught an SEO workshop back in 2012 or something. 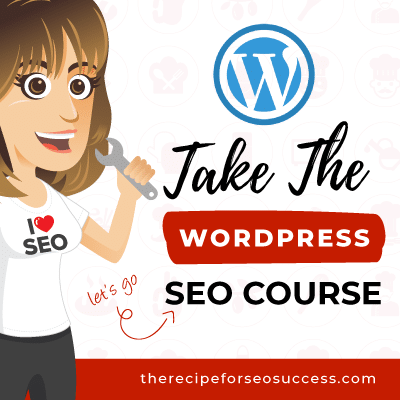 So, you know, I felt that I knew a lot once upon a time, but the reason why I wanted to do the course was because I felt like SEO had moved a really long way from my knowledge and I was just like struggling. I just couldn’t keep up with it all and I was listening to podcasts and I was reading articles, but I just felt like there was this big knowledge gap between what I knew and what I knew I needed to know. Caitlin Wright:Caitlin Peake: It was just I wanted to find all that information in one place. 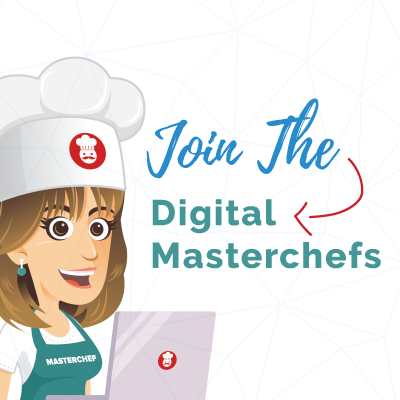 I’d known about your course for quite a few years and I’d been getting your blogs and I’d done the … I think I did the 10 Day Challenge in about 2013 or ’14 or something like that, or ’15, I don’t know, it was a while ago. And sort of last year, at the end of last year when I was thinking where I wanted to go in 2018, it kind of came up again. I thought, “Oh yeah, it actually makes sense for my journey,” so that’s when I decided to enroll. 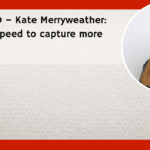 Kate Toon: So I think a lot of people do the course for gap filling and also for some affirmation that what they know is correct and that they were up to speed. And also, I think for a plan. To have someone else have gone away, read the 500 articles, taken out the 10 things you actually need to know, and to say, “This is actually what you need to do.” That is what I wish I had in my own course 10 years ago. Do you know what I mean? It’s that thing you’re buying. It’s not necessarily … Because, as I say to everyone, I’m very open about it, everything I teach in the course is freely available on the internet. There are no secrets, there is no magic juju. I didn’t give Caitlin a secret code that enables her to beat Google. Kate Toon: It’s just the structure, the process, the priorities, and the accountability, maybe, and the support, I’m not sure. But yeah, it’s interesting. So, now you’ve done the course, were there any moments in there where you were like, “Wow, I didn’t know that?” or “Wow, I’m glad that I knew that.” Or what were your moments in the course? Caitlin Wright: It made me realize I need to really think about what I’m selling and who I am and what my strengths are. And yeah, from then on, I kind of have built it up from there and it’s just been like layers and layers of things. Every week I have a new epiphany, like, “Oh my gosh, why didn’t I know that? Yes, of course, add that to my knowledge base.” So, I think that was the main thing that I think I got. Yeah, that thinking about my business, but also the confidence to sell my myself and to push myself forward and to put myself out there. I think that was beyond all the SEO stuff, which, of course, I learnt all that, but that was kind of the most valuable stuff, I think. Kate Toon: Yeah, I think that’s so important. 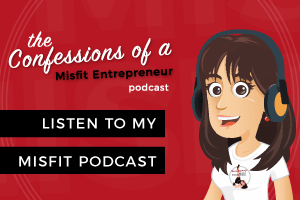 It’s even a process I’m going through myself, now, because I think even though you can be in business for quite some time, and even if you had a bit of a why and a plan and an audience outline when you started, you can stray away from it. You can lose sight of who your audience is, what you’re trying to say, and really, especially something we focus a lot on in the course is differentiation. What makes you different to everyone else? Because there are, as we know, Caitlin, 10 million copywriters. There is a new one born every day and if you can’t work out what makes you special, then you’re all just a vanilla pot of copywriters. That is at the very heart of all good search engine optimization, because only then can you understand what people are going to type into Google, what phrases you need to use, where you need to be marketing yourself, what links you need to be building, it’s kind of the key. 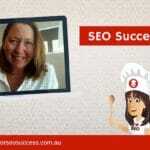 It’s the key to unlock the door of SEO. Kate Toon: So that’s interesting. 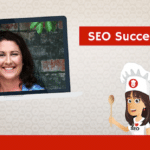 I guess, if you were talking to somebody who, right now, was starting their business and they heard about SEOs and couldn’t get it. And they knew that, however, that it was important to appear in Google and rank well. What’s some basic tips that you would pass on to them? 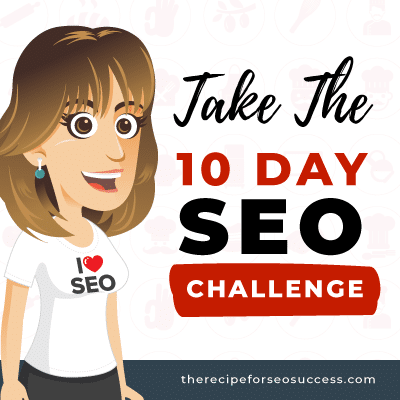 What’s some basic steps you’d say to a person starting your SEO journey? Here are some things I’d focus on in the first couple of weeks? Caitlin Wright:: I guess I’d tell them to look at … think about what they’re offering and think about the way that each of their pages could be broken down into different keywords. So I’d tell them they need to look at each page separately and how they best promote each page. Make it different enough that people can find their different pages using the different keywords, I suppose. I would tell them to probably look around at other good websites and get ideas. 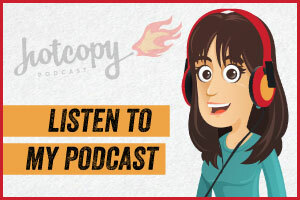 I think that’s been part of my journey is I’ve spent a lot of time looking at other copywriter websites and I still always am looking at other competitor websites, just to get ideas of what I want to do and what I could do better. I mean, it’s not about being the same, it’s about what I could improve upon and how I could make their ideas better for me, you know? So I think that would probably be the things I’d tell them to think about. Yeah, I think those are main ones. Kate Toon: I think that’s a really important thing, because I think it’s something that people don’t necessarily realize, that Google does look at your site as a whole. They do look at each page individually, each page, each post, each product is a chance to be at the top of the rankings for whatever keyword. Some people may only look at that page, so does that page work in its entirety? I want to see something that’s pretty great for copywriters like us, is that the content on that page has to be engaging, has to sell, has to warm people up, show your authority, build trust, and please the Google gods. 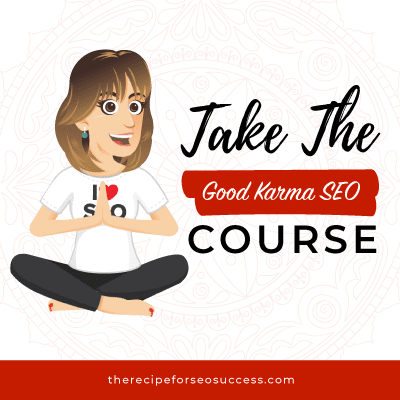 As we say in the course, “It’s always humans first and Google second.” And people think the two things are not doable, that you cannot write copy that’s SEO-friendly and engaging, but I guess you’d disagree with that, wouldn’t you? Kate Toon: Yes, of course. Well, Caitlin, thank you so much for coming on and talking about your experience. 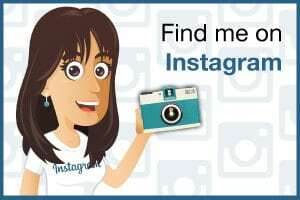 I will share links to Caitlin’s website under this. 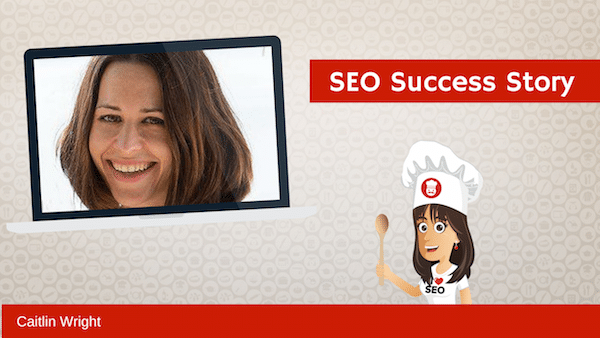 If you are looking for an SEO-friendly copywriter, well a friendly copywriter, but also somebody who can write SEO-friendly copy, Caitlin’s your girl. She’s a graduate of the course and was, I think, you know, one of the reasons I asked, you know I was pleased when you volunteered to do this is, people that get the most out of the course are the people who put the most in. People that do do the work, that ask the questions, there’d a lot of opportunity in the course to ask questions, there are like 12 coaching calls and the group. You know, there’s different ways of learning and one of the best ways of learning is to try the thing, get stuck, and ask the question. Then you really get it. So I was really glad you decided to do this tonight and thank you very much for being here today. Caitlin Wright: Yeah, I asked a lot of questions. Kate Toon: You did and I answered them all, I think. Caitlin Wright: No, you did. Kate Toon: Thanks ever so much, Caitlin, and thanks for watching today in the [inaudible 00:10:21] … got another SEO Love In interview staring at 12:30. So I will see you then, thanks for watching. Bye.